You can put one almost anywhere! Replacing leaky old windows is a great way to cut utility bills. Our customers have saved up to 30% on their heating and air conditioning bills. No one enjoys the work associated with cleaning old windows. Tired of hauling out the ladder on Saturdays? With new windows, you won't have to. Easy-Tilt construction allows you to clean both sides of the window from inside your home. Talk about convenience, our new windows operate smoothly; the non-stick vinyl sash opens and closes easily. Our new vinyl windows will let your home look its best. Your home will be brighter with the slender, clean lines and custom crafted look. New windows greatly enhance the curb-appeal of your home as well as the resale value of your home. Comfort. 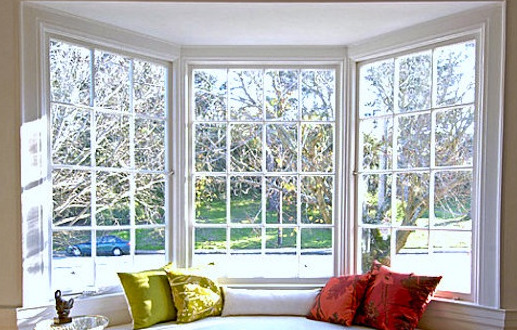 Old windows can create uncomfortable drafts inside your home. With today's thermal technology, such as dual-pane insulated glass, low-E coatings, interlocking rails and fin-seal weather-stripping, new vinyl windows stop cold in its tracks.